Registration is open and the early bird discount ($100 savings) ends July 31st. See the link to the left for the session grid of classes at CONNECT 2013. The P21 User Group is excited to be able to offer a special 2 part session titled "Cash or Consequences – The Business Owner’s Dilemma" during CONNECT 2013. This session will be two back to back 90 minutes sessions where participants use case studies and/or financial information from their own company to help understand cash flow, the Income Statement and Balance Sheet, and how they they are all related. This class is probably not for accounting majors, finance majors, or MBAs. The class is meant for people who need a better understanding of the balance sheet, income statement, and what they mean in real life. The class teaches that to grow your business requires cash, and helps to to estimate how much cash will be required if a certain amount of growth is achieved. See the attached class outline. Sunday Evening, September 22nd - We will be starting our event with a cocktail reception. This is the perfect opportunity to get re-connected with other Prophet 21 users you have met in years past and make new connections. Monday Evening, September 23rd - After a full day of sessions, we hope you are ready to monkey around! 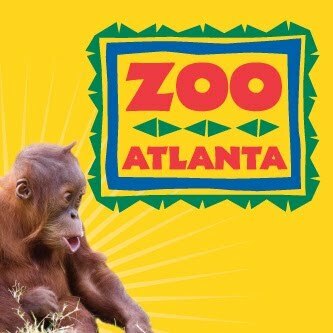 Our Networking Event will be at Zoo Atlanta where we will have full run of the Zoo, special animal feeding and encounter opportunities, and a tasty dinner. Both before and after the event, buses will shuttle attendees between the hotel and the Zoo.